The first chapters were good, but it all goes downhill from there. The characters and the world were slightly fleshed out, and the excitement from the plot was lacking. The initial developments were dragged out only to abruptly finish at some point by something convenient. The concept is good, however, how the author portrayed it left much to be desired. I've only read the manga adaptation of this story. The story is about a japanese who is send to a fantasy type world. Of course the Main Character is given a cheat ability. ... more>> This ability, as the title of the novel imply, is the customize things. Just like in the video game that the MC was playing in japan, he can change the various attributes of a given item. With one big difference whith the game he used to play: there is no clear limit to the customization such as use of mana or customization points. The MC quickly realize that fact and how absurdely powerfull his customization potential have become. If I was the MC, at that point my first move would be to customize equipment and accessories to max out my intelligence and wisdom. So that I would find the best use for my power. My second move would be to make sure that I am safe. My third move would be to extend that safety to the people I care for. My fourth move would be to turn 4 nuts and a sheat of paper into a carriage, apply Flying ability to the carriage, extend the size of the carriage to a few kilometers wide. Then change the name and specs of the carriage into Galatic Empire Battleship. Star Wars style. Thus I would be ready to face whatever is send to me. Yet what is the MC doing ? Nothing much. He seems unable to plan things in advance, at least not in the huge scale allowed by his cheat ability. Instead he got sucked in little political strife and is given an unsignificant position in an unsignificant army. Basicaly, the author have made a huge mistake by giving a cheat ability that turn all the plot he imagined into useless stuff that don't match the power of the MC. The MC is supposedly smart except that he is not, he is just playing around brainlessly. He is just a sheep that goes with the flow without much thought. This novel was good for me due to how methodical it felt? I can't put it any other way as reading the novel was enjoyable for me as the cheat in question was interesting. We follow Tagami Yusuke as he is transported to another world with the ability to freely customize any equipment and give it special features dependent on the quality of the material, combat wise he's more of a trapper who manipulates the environment around him for trapping people or enchanting rings to increase his strength and things, the... more>> ability in question is what made me like this as it make's him powerful but not directly but instead makes him incredibly valuable for nations and groups as shown in one chapter for example where with all the materials present he instantly builds a castle. What kingdom wouldn't want that? This is a good novel, there is world building, there is action, there is romance, there's an adventure, the MC isn't an idiot and uses his ability properly, and everything else you'd probably want in a good novel, but the author can't deliver the story in a way that would excite you, that would make you crave for more or that would make you feel a thrill in its current affairs. It started out great, but gets drawn out in later chapters. The conflicts are developed slowly, and resolved too quickly with minimal action. 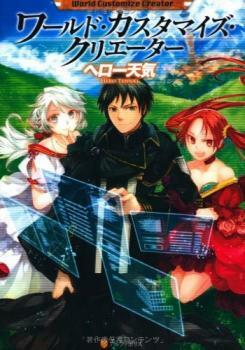 Plus, the romance is disappointing as the MC and female characters around him are relatively passive in this subject. After 50 chapters in, there is a feeling that it gets more and more boring. The story ain't cliche like most isekai. Yes, it's slow paced but for a reason as it's close to what really happens in reality so that the readers can cope up. No "overpraising" of MC for his achievements. MC is not a super rich guy in a snap and he works hard to earn his living. MC isn't w/out any weakness which is kind of nice for balance. This is an example of a good premise only can get you so far. The story is good, but nothing out of the ordinary. It's like a C, or C+ at best. A passing grade. Starts good but never gets into high gear. There is not great development. And that made it boring in the long run. The story is meh but the characters are interesting although weren't as developed as I would've like. The world is developed and fleshed out better than others. MC is a pushover but I kinda understand as I would've done the same to be honest. He doesn't fully understand nor master the power he was given and therefore having the backing of an organization is better than trying to take on the world himself because in the end of the day he's just a human. And it has been hinted that the... more>> potential for his power is limitless and I think there lies one major problem with the story, the MC is op but he's not really OP. If he was OP then he wouldn't be such a pushover and he'd do sh*t directly like Satou (Death March) or Hajime (Arifureta) but he really isn't. A good example would be an MC bringing guns to a medieval fight, yeah it's powerful but if enough numbers are thrown he can be over taken, if brought in to CQC then he's done. To be honest my favorite parts of this novel were the character interactions and the MC fiddling around with his power for entertainment. I wouldn't even feel bad if one of his companions died as he doesn't think of "what if"